Threod Systems took part in the European Defence Skills Partnership 2nd workshop, that was held on 18th of July in Brussels. The second workshop reviewed the findings to date regarding gaps and problem areas in the supply of prioritised skills as well as the effectiveness of policies and initiatives aimed at skills support and development across Europe, with a focus on education and training initiatives and policies. Inputs fed into the “Common vision on defence-related skills for Europe today and tomorrow”, which is expected to be published in October 2018. 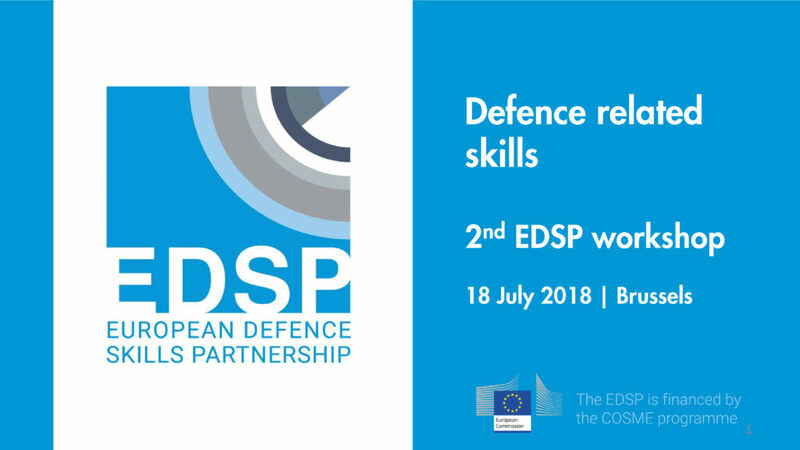 EDSP brings together representatives from different associations, industries, academia and research organizations to share best practices and knowledge in order to foster the cooperation and to boost the development in the European defence industry. The specialists and opinion leaders discuss the challenges and trends in the availability of skills for the defence sector and ways to close the gaps. This initiative is implemented through a COSME funded project led by RAND Europe.